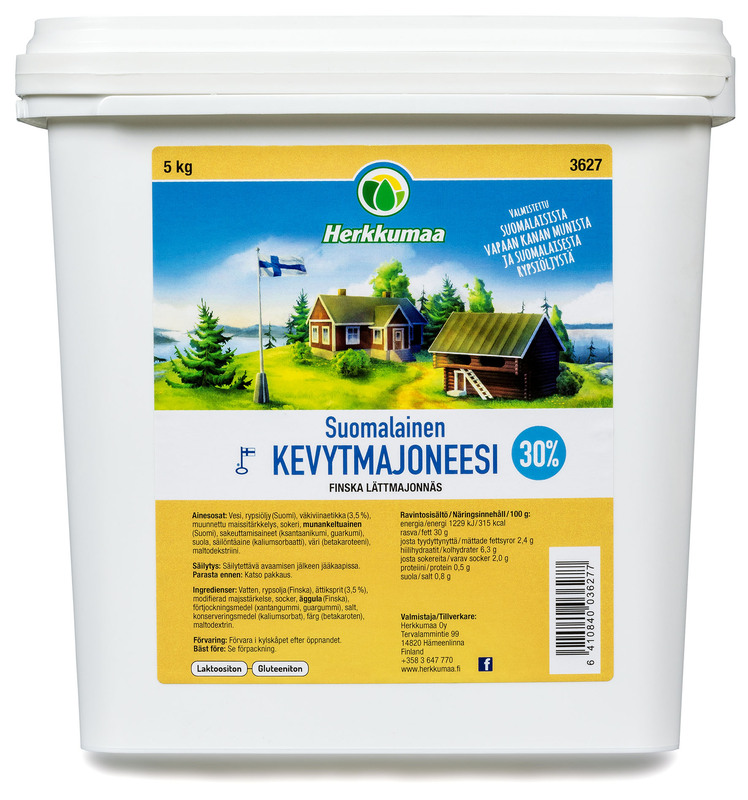 Finnish light mayonnaise is a lactose and gluten-free mayo for Horeca. The mayo contains only 30 % fat. The angular 5-kilogram box saves up to 33 % space compared to round containers. 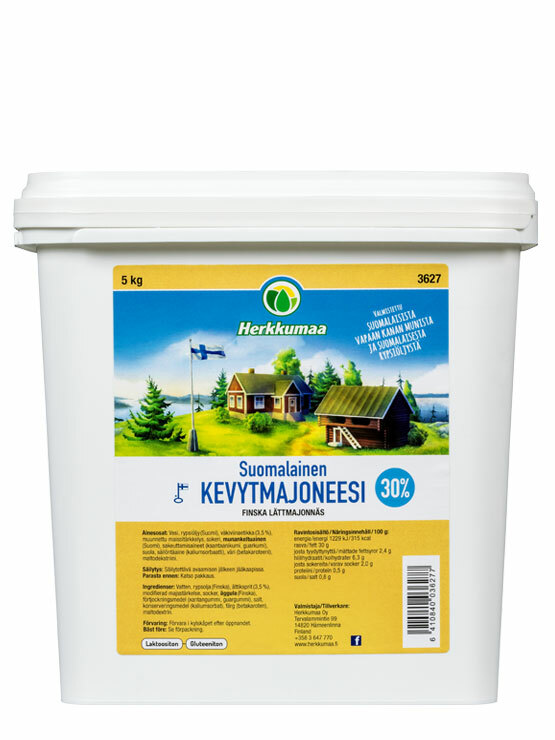 Ingredients Rapeseed oil (Finland) water, egg yolk (Finland), sugar, vinegar (3.5 %), modified cornstarch, salt, thickeners (xanthan gum, guar gum), preservative (potassium sorbate), colouring (beta-carotene), maltodextrin. Storage Keep refrigerated after opening.